New York — March 22, 2017 … With over 160 bomb threats made to Jewish organizations in the United States and Canada, many questions are now being raised as to how to respond. Yesterday, Temple Beth Shalom in Livingston, New Jersey was targeted. Police told the INA that the threat was received by telephone at around 11 a.m.
Livingston police Detective Sgt. Jack Hickey stated that the call was live, that the incident did not use a robocall which was has been the pattern used to intimidate dozens of Jewish Community Centers in the US and Canada. Detective Hickey confirmed that after a brief evacuation took place where the Essex County Bomb Squad inspected the location, that the call turned out to be just another scare. “We can receive 100 false calls but it only takes one of them to be real, as such, all Jewish facilities must take these bomb threats seriously,” said Hickey. He added that the incident is now being investigated by the FBI and the US Department of Home Security. Immediately evacuate the facility in a calm and effective manner. 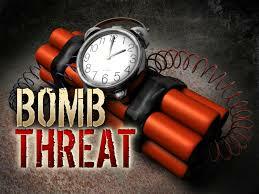 Notify a co-worker to call 911 and report the threat. Update all telephone systems so that caller ID and recording of calls can take place. Install surveillance cameras both inside and outside of the facility. When the facility is active, have a police officer or uniformed guard greet all those entering the facility. The uniformed guard should routinely patrol both the outside and inside of the facility. Engage the public and the media. Control the narrative. The Anti-Defamation League (ADL) has issued a Security Advisory to Jewish institutions nationwide following a series of bomb threats to Jewish community centers in at least 18 states. ADL is closely monitoring the situation and has been in touch with federal and local law enforcement across the country. Although the threats do not appear to be credible, the League is urging all communal institutions to take these threats extremely seriously. Please download, print and distribute to Jewish organizations in your community. Stronger laws against hate speech and racism have been drafted and passed into law in the United Kingdom. This petition, Stop Bomb Threats, which we ask you to sign and share, demands that US Congress designate members of Neo-Nazi, AltRight and other hate groups as members of terror organizations. As such, white supremacy groups would be stripped of being able to recruit, incite and unable to hide behind free speech laws. The placing of bomb threats is terrorism. It’s up to us to either remain victims or take effective action in preventing these acts of terrorism, whether physical or psychological, and arresting those responsible.